I love summer. The sun, the lake and the lazy warm nights. This year has been a bit different. If I'm not at the lake, but doing what has to be done everyday I am hating it! Weeks of 90 to 100+ temps have had me yearning for fall. This is coming from a midwest lady that hates winter and can't wait to see 85 and sunny. Why oh why does that damn grass always have to be greener? Lately I've become a Pinterest junkie. 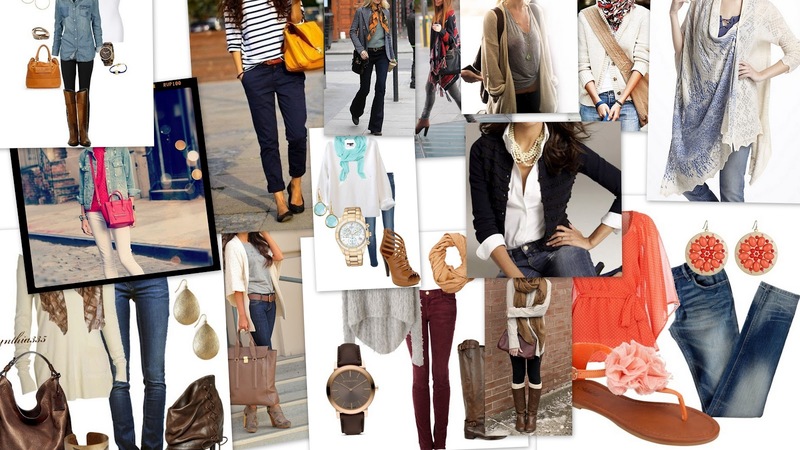 Take a look at some of these fantastic outfits just waiting for us this fall. Granted they are all very slender, young women. Just take a piece, just the right piece to add to your fall outfit. Fall inspiration couldn't be any more beautiful. If you want to see who the lovely ladies are just follow me on Pinterest and you will see that and more. The inspiration that you find there is incredible. What have you got to lose? I'm not hawking for followers. Those of you that know me know that I don't care about those things. I just couldn't figure out how to make a collage and credit the beautiful outfit posts featured. I hope I'm not breaking any blog rules. The Man and I were able to spend a wonderful weekend at the lake. This year those weekends have been few and far between. Sunday we went Kayaking for the first time. I loved it and I'm looking forward to doing it again in the real near future.. See below for some very fashion unfriendly shots of the adventure ( I'm wearing a "designer" XL life jacket. If there were an emergency my whole body could have fit into that baby! 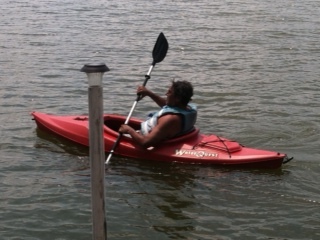 I love the kayak photos and I'm glad that you got to the lake. We spent our past weekend at the Lake of the Ozarks. And I want to follow you on Pinterest. Water is the best way to live in heat. We are used to 100 degree heat, but I know that it is a shock up north. I always long for fall about now! Tammy, so glad you were able to get away. I know you need it! It's been hot here in the south, but I'm not ready for fall. I love summer too much! 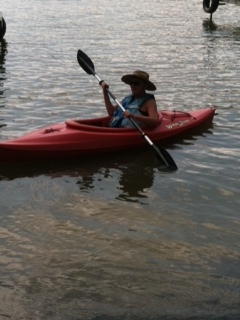 I love kayaking- it's so relaxing (and a great arm workout to boot!) I have had just about enough of the humidity but I know that when the colder weather comes, I'll be yearning for summer! Kayaking is so fun! A great activity for summer. Have a fun weekend! Loved peeking at some autumnal clothes.fall is my favorite time of year. Cooler temps and falling leaves and those colors....yum. I think fall is the best time of year for clothes, never mind that fashion magazine's September issues are always the size of a brick. Early fall still gets me giddy and with memories of back-to-school I've always preferred it to New Year's as a time to turn over a new leaf. But summer is so short that I'm bound and determined to enjoy every moment of it! Looks like a great time. Pinterest has some great ideas. Hope you are doing well.